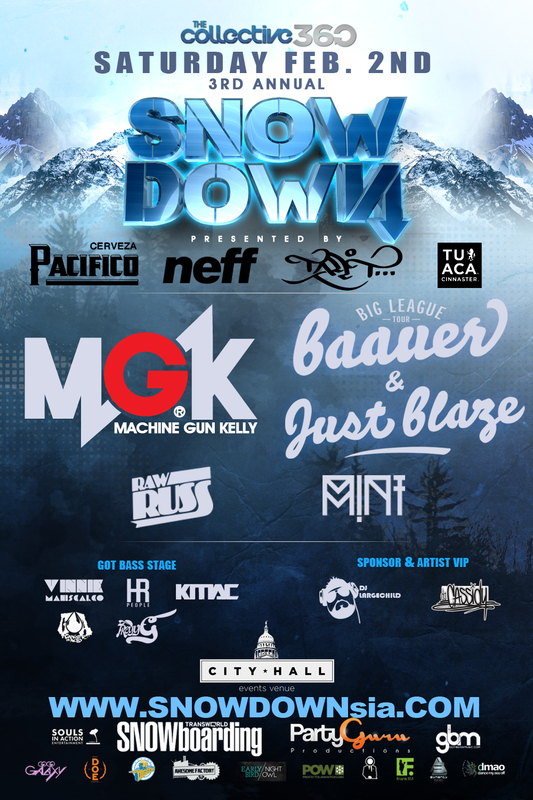 3rd Annual SnowDown feat Machine Gun Kelly, The Big League Tour feat. Just Blaze and Baauer and more. What is sure to go down as the biggest party next weekend will be SNOWDOWN, the event to be held at CITY HALL has become Colorado's trademark winter sports celebration taking place during the largest snow industry sports convention in the world, SIA. Presenting top notch national brands and talent SNOWDOWN has a reputation for being one of the seasons biggest and best parties. The good folks here at Ultra5280 want to send a lucky person to this event with a pair of complimentary tickets. Check our Facebook page for contest information! SNOWDOWN SIA producers announced today that Interscope recording artist Machine Gun Kelly will join the list of performers at this year’s SNOWDOWN SIA concert February 2nd at City Hall Amphitheater. MGK will co-headline the annual event alongside Trap music producer Baauer (“Harlem Shake”) and hip hop producer Just Blaze (Jay-Z, Kanye West, Kendrick Lamar). The high energy duo will be showcasing their unique styles in the main amphitheatre at City Hall, bringing to SNOWDOWN SIA the flavor its partygoers crave as they celebrate the annual SIA Snow Show’s return to Denver. In addition to the on-stage entertainment, patrons of the event will be treated to thousands of dollars in merchandise giveaways from industry sponsors between sets. So be sure to grab your free Neff beanie from one of the snow bunny dancers. The 2013 event will also featuring bikini-clad Pacifico models pouring complimentary beer in the VIP section with music provided by Red Bull’s Mobile DJ Unit in the MXT Truck parked at the entrance. You can’t miss the party at 1144 Broadway! SNOWDOWN SIA hosts over a thousand VIP guests from the outdoor/action sports industries who are in town attending the annual Snow Show to exhibit their new product lines. However, SNOWDOWN SIA isn’t only for industry personnel. The event caters to Denver’s music fans and scenesters wanting to hit the SIA party circuit. *SNOWDOWN SIA is one of the only parties during the weekend that releases tickets to the public. SNOWDOWN SIA 2013 is an 18-and-up nightlife event that takes place Saturday night during the SIA Snow Show. The annual concert brings the best of the snow sports industry under one roof for a frosty night of the freshest hip hop, trap, dubstep and Top 40 mashup sounds, live art and special guests. In addition to Baauer & MGK, the 2013 lineup includes underground hip hop and bass producer M!NT, Raw Russ of Elm and Oak and local DJs on the Got Bass Stage. DJ Largechild will take over the ones and twos in the VIP area with host Cavem Moetavation. SNOWDOWN caters to the talent, brands and industry leaders attending SIA, while creating an opportunity for the greater Denver community to become part of the SIA experience. A portion of SNOWDOWN’s proceeds will benefit “Protect Our Winters” thanks to TheRidersProject.com. We had a chance to sit down with world-renowned DJ/Producer extroirdanaire Just Blaze last week. We had a pretty bad connection so we only managed to get in a few questions. Here is our interview. U5280: You have worked with an A-List of musicians in the past from Mariah Carey to Jay-Z, who has been your favorite artist too work with? JB: I have been fortunate enough to work with a lot of talented individuals, when it comes to collaborations I would say Jay is the easiest to work with. Having worked with him on many projects I know what he is going to bring to the table, he knows what i'm going to bring and it just works. We know what we are both capable of pulling off. U5280: You had a chance to work and produce a track on Kendrick Lamar's new album, what was that like? JB: That whole album is amazing, and i'm not saying that because I helped work on it. Kendrick is very talented and it was great working with him on Compton, it was mixing old school with new school and making a hit. It went through so many different forms, at the end I sent Dre my samples and he tweaked them had Kendrick do his thing and it was that. U5280: What does your typical day look like? JB: It really depends, everyday is different, most of my time I am in the studio. It can be late at night usually going into the early morning. 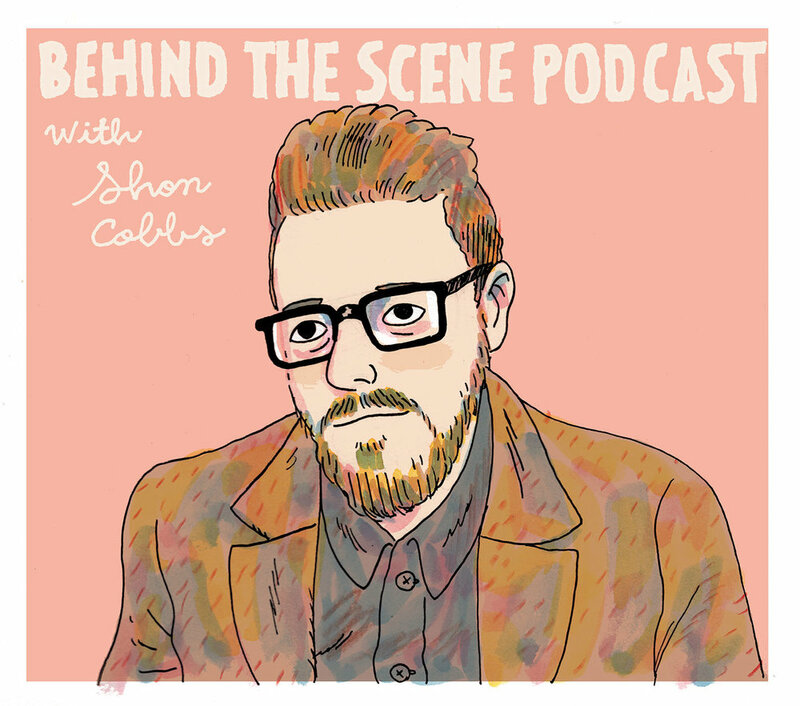 At other times like now, I do a lot of press interviews. I'm always doing something. U5280: What can we expect on The Big League Tour that you are about to embark on with Baauer? JB: It's going to be crazy, Baauer is a very talented dude and is on top of his game, being able to mesh the elements of electronica and hip-hop is definetly what fans can expect. We are looking forward to playing in Denver that's for sure. U5280: Aside from your current tour, what can fans expect from Just Blaze in 2013? JB: I've got a lot of personal pet projects in the works right now, also working with Dr. Dre on Detox as well as 50's new joint will keep me busy throughout the year. Just Blaze and Baauer got together with the good folks at Pitchfork to talk about their new joint "Higher". The track is already blazing the airwaves and we can't stop listening to it.